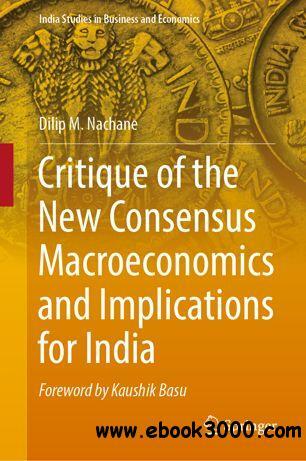 The thought-provoking book presents alternative viewpoints to mainstream macroeconomic theory, questions conventional policy wisdom and suggests a systematic re-orientation of current macroeconomic and financial regulatory policies in India. The New Consensus Macroeconomics (NCM), which established itself in the 1980s as mainstream macroeconomics, essentially represents an "uneasy truce" between two dominant schools of economic thought viz. New Classical and Neo-Keynesian economics. The NCM sets the tone for much of the macroeconomic (especially monetary) policy followed by the advanced economies in the period of the Great Moderation (1990-2005). The recent global crisis has posed a major challenge to the NCM as empirical models based on the NCM failed to anticipate the occurrence of the crisis and later its extent and severity. The above considerations constitute the underpinnings of this book, which addresses the theoretical controversies within a general context and their policy implications for India. The authors' analysis leads to a somewhat critical assessment of the financial sector policies followed in India since the initiation of reforms in 1991. This makes the book a valuable resource not only for researchers working in this area, but also for policy makers.